It was the 38th minute of the UEFA Europa League match between RB Leipzig and BK Häcken. 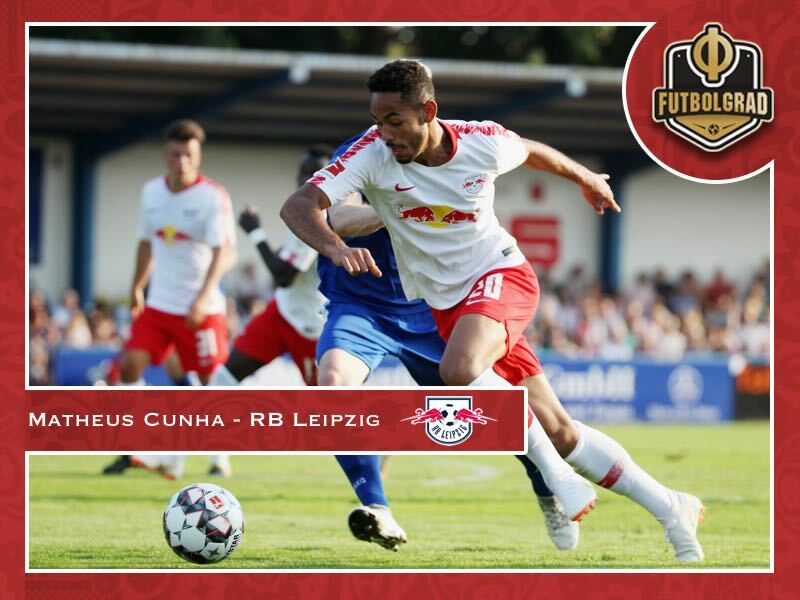 Die Roten Bullen were up by a goal already when Matheus Cunha cleared the path for Leipzig to record a convincing victory. A poor Häcken clearance fell just outside of the penalty area where Matheus Cunha stood. The 19-year-old striker stopped the ball with his back to the goal and in one flowing motion turned and hammered the ball home from about 18-yards out. It was a magnificent goal and highlighted why Leipzig’s sporting director, and interims head coach, Ralf Rangnick was willing to pay €15 million to FC Sion for the talented Brazilian striker this summer. The Brazilian, in fact, was more expensive than Leipzig’s number one striker Timo Werner, who cost €14 million two years ago. “Matheus Cunha is a very interesting striker, who with his age, his speed and his attacking prowess perfectly fits our philosophy. Matheus has made a significant step in his development over the last few months and has impressed us with his performances. In particular, his ability in front of the net shows amazing qualities and full repertoire”, Rangnick explained to the media following the transfer in July. Playing for FC Sion in the Swiss Super League Matheus Cunha managed ten goals and eight assists in 33 games last season. Previously, relatively unknown it was his first senior season in professional football. Brought through the Coritiba FC academy, Matheus Cunha never played for the senior team in Brazil before making the move to Europe. Instead, the 184cm tall striker was thrown straight into the cold water of the Swiss Super League. Although not a top league the Swiss Super League has developed a reputation as being a centre of excellence when it comes to developing talented players. The Bundesliga has always been a prime destination for the brightest Swiss stars, but it is not just Swiss talent that is developed by Germany’s southern neighbour. When it comes to Brazilians that have made the move from Switzerland to Germany one of the first players that come to mind is Giováne Élber. Among the most prolific foreign strikers in German football the former Stuttgart, Bayern and Gladbach star played his first professional football in Switzerland for the Zürich based club Grasshopper. There Élber scored 41 goals in 67 games before making the move to Stuttgart and eventually Bayern where he would win the Champions League in 2001. Like Matheus Cunha Élber never played top flight football in Brazil and instead was scouted by Milan, who brought him to Europe and loaned him out to Switzerland. Élber and Matheus Cunha not only share their Swiss past, however. Both are of similar built and at a closer look share some key attributes. It is, of course, somewhat unfair to compare forwards from two different eras. When comparing footage of the two strikers what right away stands out that like Matheus Cunha, like Élber, is a complete striker. 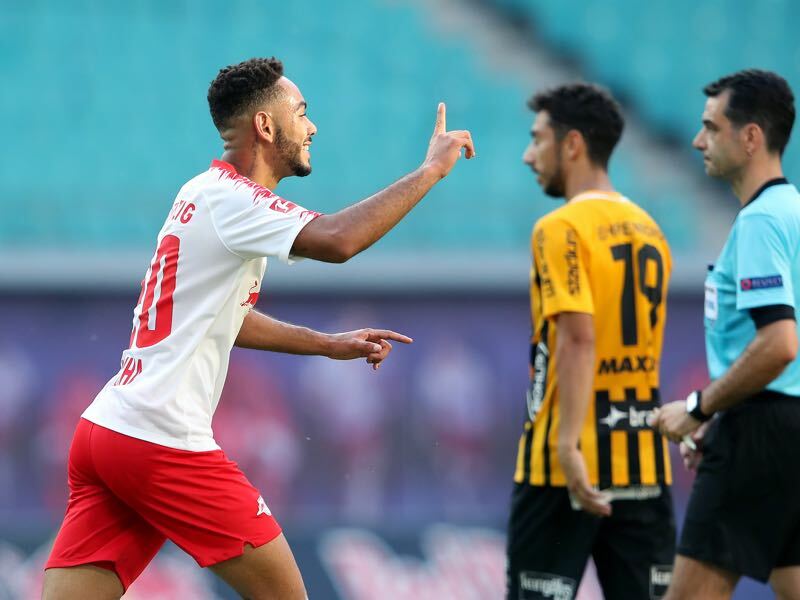 A full repertoire of goal scoring skills allows the 19-year-old Matheus Cunha to be dangerous anywhere inside, and as the goal against Häcken highlighted, also outside the box. It is the full repertoire of a complete forward. It is also a repertoire that should allow Matheus Cunha to do well with Leipzig’s star striker Timo Werner. In fact, playing with another striker, as Élber did with Carsten Jancker and Claudio Pizarro, would aid Werner. At the World Cup, the Futbolgrad Network noted throughout Germany’s games that Werner almost seemed lost as a single striker. At RB Leipzig he played with another striker in the form of Yussuf Poulsen. Poulsen, however, is not a goalscoring threat. Instead, the tall Dane acts as a wall player. But Rangnick is adamant to add more tactical depth to RB Leipzig’s game this season. Adding an Élber like striker in the form of Matheus Cunha would, therefore, make sense. The 19-year-old Brazilian will allow Leipzig to play 4-3-3, 4-2-3-1, 3-4-3 and 3-5-2. Furthermore, with his ability to score from almost anywhere Matheus Cunha will also allow more time off for Timo Werner, who seemed at times overplayed last season. Altogether Matheus Cunha is a fascinating addition. Although he will have a long way to go to become the equal of Giováne Élber the Brazilian-Swiss heritage and the ability to be a dangerman from anywhere should get fans of die Roten Bullen excited. It’s incredible how RB Leipzig is capable of targetting so many young prospects. Besides that, it seems curious to me the way many brazilians have left their motherland in order to settle themselves as great values, due to the lack of chances they have on Brazil.